Thanks for the information. Now i'm out of confusion. Thanks again, hope this place would be the good for me to know more about SEO. Hmmm, interesting. Now I see. 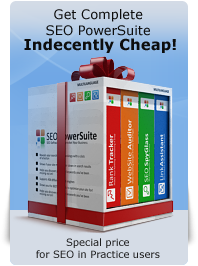 Thanks for informed me well about inbound links and outbound links.you have to play gr8 roll for teach SEO. Honestly, I think it would be even easier to rank for "SEO" than for "click here". Anyway, with Adobe as #1, there's absolutely no chance. Thanks for good information about internal link and external link. i understand about internal and external. As an experiment it might be interesting to try to rank #1 for "click here" and then see with more optimal onsite how close you have to come to matching adobe. Of course that would be a lot of work that would certainly have a high cost, but even an attempt could probably show how much external SEO matters. Obviously links seem to matter a LOT more than any on page factors. Thanks for very important information. Backlinks are building your PR.. Good think to know more about this.